Kansas City / Which Roof Shingles Are Best? Which Roof Shingles Are Best for Kansas City, MO, Homeowners? If you are ready to upgrade your roofing system, you may be wondering which shingles are best for your home in the Kansas City area. There are plenty of options to choose from – asphalt, metal, tile, and many more. But how do you know which material will meet all of your needs in terms of appearance, performance, and cost-effectiveness. The truth is, picking the right shingle depends on a number of factors, and each situation is different. For example, someone may benefit more from asphalt shingles, while another homeowner may benefit more from a metal roof. With today’s technology, almost any roofing system is effective, but the first step to finding out which one is right for you is understanding the pros and cons of each. Asphalt shingles offer the perfect blend of beauty, durability, and longevity, and this material is arguably the most popular among homeowners across the United States. They are also easy to install and require less maintenance than metal or concrete roofs, making them a great option for homeowners who want to upgrade their homes without too much hassle. Stone-coated steel shingles offer all of the unrivaled performance and longevity advantages associated with metal roofing systems. But the benefits don’t stop there. They are also resistant to extreme conditions and shed snow and ice with ease. Plus, they are lightweight and more energy efficient than other roofing options. Synthetic slate shingles are arguably the most beautiful type of roofing shingle there is. But, the beauty comes at a cost, and synthetic slate shingles aren’t a popular option for homeowners on a budget. However, their overall appearance is truly unmatched, and they offer virtually all of the same performance and longevity benefits presented by asphalt and stone-coated steel options. Here at Bordner, we proudly offer all three of these roofing shingles, and our team would be happy to help you figure out which one is best for your residence. We offer professional installations and use only the finest roofing materials and shingles. 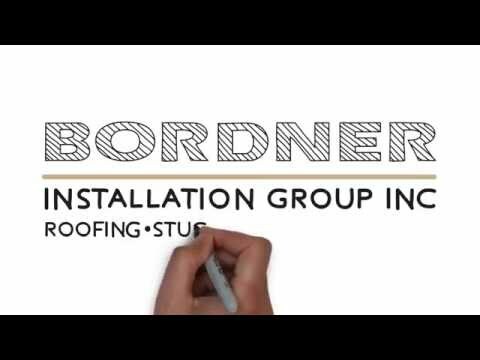 For more information about the roofing systems that we offer to homeowners in the Kansas City, MO, area, contact Bordner today. Don’t forget to ask about our convenient financing options that are available for all homeowners who qualify.